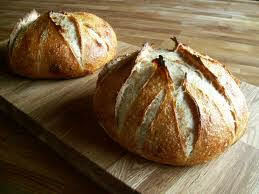 Bread Share brings 20 weeks of fresh daily bread starting from opening day (June 6th & 8th) through to the end of season. 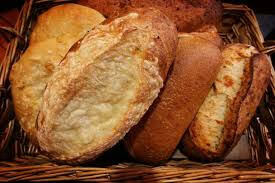 We partner with A&J King Bakery in Salem, MA and Iggy’s Bread of the World in Cambridge, MA. A&J rotates through garlic, North Shore & olive sourdough, whole wheat loaf, multi-grain, ciabatta and pain au levain. 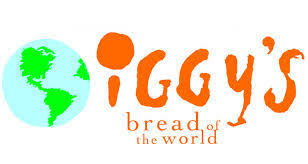 Iggy’s offers olive loaves & rolls, whole wheat, cranberry pecan & brioche rolls (6 to a pack), rosemary foccacia, country white loaf, bagels and more. There will be a selection at each depot, and choice is available until, well, the end of the day when there is one loaf left. Iggys ingredients lists are available if you have a question. A&J should have a label right on the bag. Both of these bakeries use nuts if that is a concern. This is daily bread, meant to be eaten (or frozen) the same day as pick up. This entry was posted in Specialty Shares and tagged 2017 Season Primer, A&J King, Bread Share, Iggy's, Specialty Share by Jennifer Moore. Bookmark the permalink.